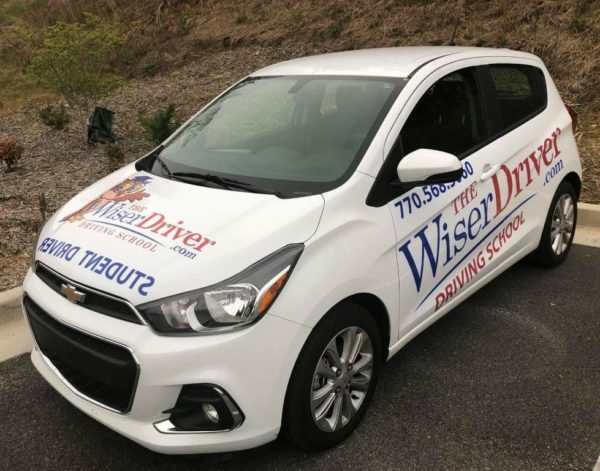 The Wiser Driver 6-Hour-Behind-The-Wheel-Driving- Package includes 3 two hour lessons and our DDS administered Road Test Package. This package also includes free transportation and a Defensive Driver Course. Training primarily focuses on the basic skills needed to safely navigate residential, highway and interstate roadways. Students will also practice different maneuver methods such as parallel, three-point turns, and straight line backing. Training is tailored to the individual needs and skill of the student driver. The average student requires 6-10 hours of training to garner the skills to safely operate a vehicle and pass a DDS road skills test. 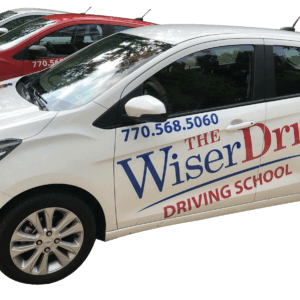 The Wiser Driver 6-Hour-Behind-The-Wheel-Driving- Includes 3 two hour lessons and our DDS Road Test package. 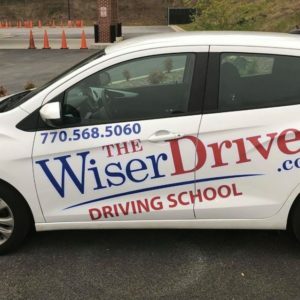 This selection also includes free transportation and a Defensive Driver Course. Training primarily focus on the basic skills needed to safely navigate residential, highway and interstate roadways. Students will also practice different maneuver methods such as parallel, three point turns, and straight line backing. Additional time maybe used for night interstate or realistic training opportunities. Training is tailored to the individual needs and skill of the student driver. The average student requires 6-10 hours of training to garner the skills to safety operate a vehicle and pass a DDS road skills test. Parallel Parking: Park midway between two standards so that your car is not more than 18 inches from the curb. Backing: Back your car for a distance of about 50 feet, at a slow rate of speed, and as straight and as smoothly as possible. Turn your head and look back at all times while backing. Stopping for Signs or Traffic Signals: Give the proper hand or brake signal; approach in the proper lane; stop before reaching a pedestrian crosswalk; and remain stopped until you can move safely through. Turnabout: Turn your car in a narrow space using two-, three- or five- point turns. Approaching Corners: You must be in proper lane and look in both directions. Yielding Right-of-Way: Always yield right-of-way to pedestrians, motor vehicles, bicyclists or anyone else who moves into the intersection before you. Turning: Get into the proper lane and give signal an adequate distance before reaching the turn. Passing: Always look ahead and behind to make sure you can safely pass without interfering with other traffic. Following: Do not drive too closely behind other cars. Watch the car ahead of you; when it passes some reference point, such as a telephone pole, and then count “one-thousand-one, one-thousand-two.” If you pass the same spot before you are through counting, you are following too closely. Posture: Keep both hands on the steering wheel. Do not rest your elbow on the window and do not attempt to carry on a conversation with the Examiner because they will be busy giving instructions and recording your score. 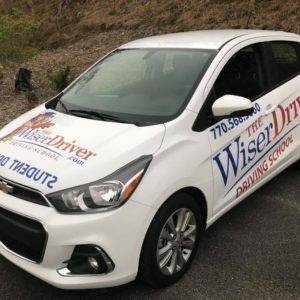 The Wiser Driver provides a reputable and professional service that aims to give you the confidence to pass your test and drive safely on the roadway.